Apparently, everyone who is part of the Manhattan business of busting ghosts gets to wear the uniform: Vulture has shared the first picture of Chris Hemsworth taken on the set of the new Ghostbusters movie, and he’s wearing a boiler suit that’s identical to the ones worn by Kristen Wiig, Melissa McCarthy, Leslie Jones, and Kate McKinnon. 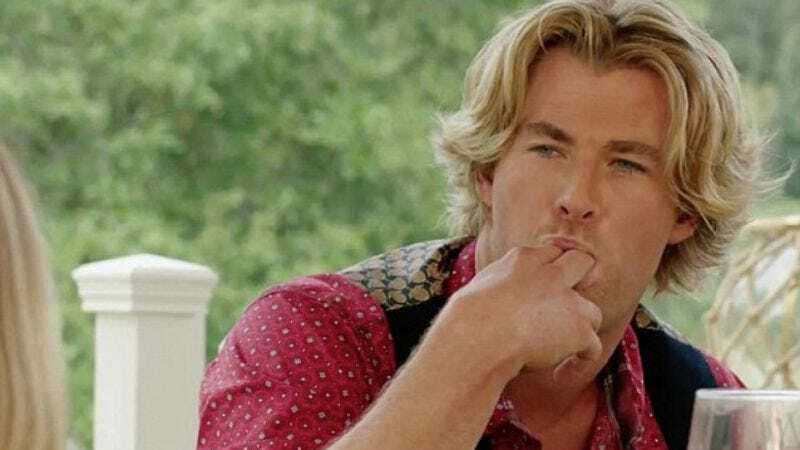 Hemsworth is playing their receptionist Kevin, because director Paul Feig wanted his film to have women busting the ghosts while an erstwhile demigod takes their messages. Here’s the set photo, which shows a smiling Hemsworth riding a motorcycle in his coveralls, possibly on his way to deliver some much-needed equipment to his bosses. Fans of Janine Melnitz (and continuity) might be happy to see Hemworth’s character is wearing glasses, even if they’re not oversize.